Medications are the most frequent point of contact in healthcare: one out of every five adults in the US takes three or more meds per day (CDC). While hospitals and doctors offices do the critical work of diagnosing illness and designing care plans, the pharmacy is where those plans collide with real life. PillPack is still the only independent pharmacy that serves customers nationwide. PillPack was founded around the idea that your pharmacy can, and should, be the cornerstone for better health. We believe that if it’s easy to take medications as prescribed, people will do it. And, for folks with chronic conditions, research shows that medication adherence goes a long way towards achieving health goals. It’s a simple premise, and one that we’ve focused on intently for the past three years. Since PillPack launched in 2014, we’ve helped make it easier for tens of thousands of customers to stay adherent to their medications. We are now delivering hundreds of thousands of prescriptions a month, have grown to more than 500 team members, and will do more than $100 million in revenue this year. PillPack is still the only independent pharmacy that serves customers nationwide. By staying on track with medications you’re taking a positive action for your health — just like exercising or eating well. Today, we’re proud to introduce our next evolution, which is both physical and digital. We’re launching new physical products targeted at improving adherence, and announcing our home-grown software platform that now powers all our pharmacy operations and delivers a better customer experience. These things together help us shift from just offering simple, convenient packaging to providing a comprehensive service for managing chronic conditions. Our new dispenser provides an important visual reminder that by staying on track with medications you’re taking a positive action for your health — just like exercising or eating well. The new digital component is called “PharmacyOS”. It’s a brand new operating system that we built from the ground up. This is the first pharmacy software that makes it easy for both pharmacists and customers to manage multiple daily medications and replaces the patchwork of legacy software that’s still used in nearly every other pharmacy across the country. PharmacyOS represents the early stages of a platform that, over time, will create a radical shift in chronic care management. Existing pharmacy software is mostly designed to process one prescription transaction at a time. As soon as you start adding on multiple meds, its ability to coordinate for a customer quickly breaks down. For someone with a chronic condition, each medication makes fill timing, insurance, refills, and dosing instructions more complicated. Five medications means dealing with five times the complexity. A therapy plan quickly becomes more than any one person can manage. PharmacyOS is the first pharmacy software that makes it easy for both pharmacists and customers to manage multiple daily medications. By using PharmacyOS behind the scenes to support every prescription, insurance claim, and customer inquiry that comes through PillPack, we can minimize the complexity of dealing with multiple medications. 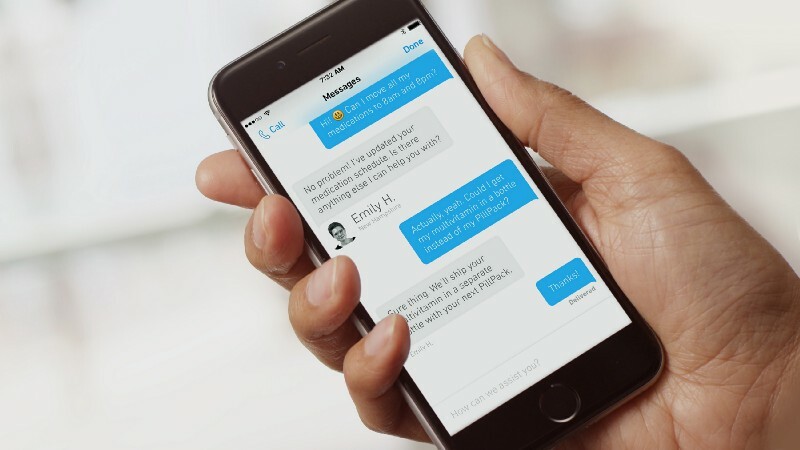 For customers, this means streamlined service, fewer back-and-forth phone calls, and more control over how their end-to-end medication plan is managed. 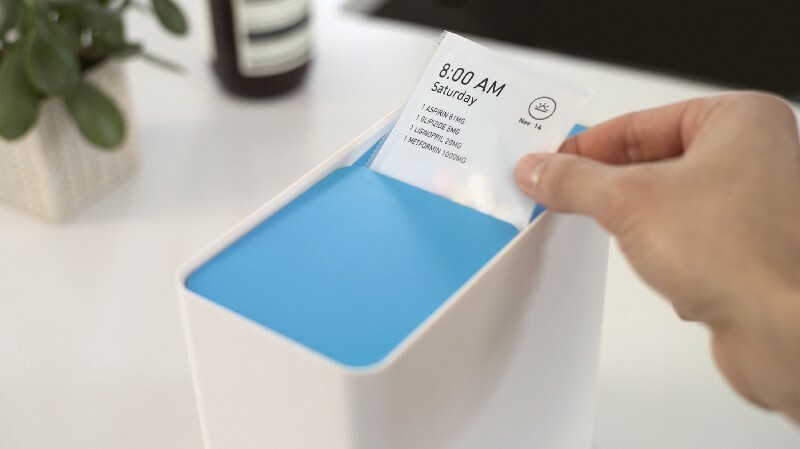 The new physical component is centered around a dispenser that’s designed to have a permanent place in a PillPack customer’s home. (Our old dispenser was recyclable plastic and you got a new one every month). We know that routines are a huge part of adherence, but it’s hard to build a routine around clumsy orange bottles that you hide in a drawer. The durable dispenser is custom designed to make it enjoyable to interact with your medications. It provides an important visual reminder that by staying on track with medications you’re taking a positive action for your health — just like exercising or eating well. It also comes in four colors (purple, green, blue, or gray), so different people in the same household can choose their own style. Finally, we also have a new travel pouch to make traveling with medications simple, and to protect your privacy when taking meds on-the-go. We believe that if it’s easy to take medications as prescribed, people will do it. Medication is already at the center of healthcare for many people, but most pharmacies exist almost exclusively to facilitate the transactional dispensing of medication. 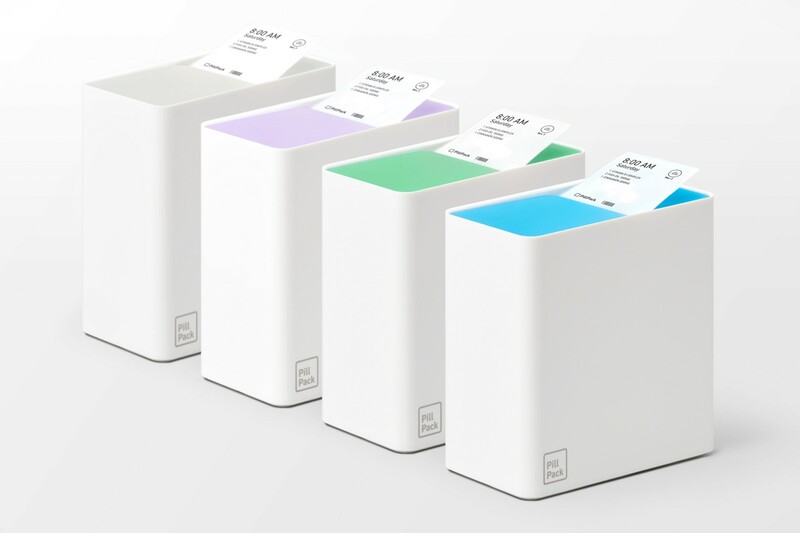 The next evolution of PillPack is designed to dramatically improve the critical relationship between a person and the medications they take to maintain their health. Our new digital and physical products are a big step towards that goal and are already making a difference for tens of thousands of customers across the country. For more information, please email press@pillpack.com. 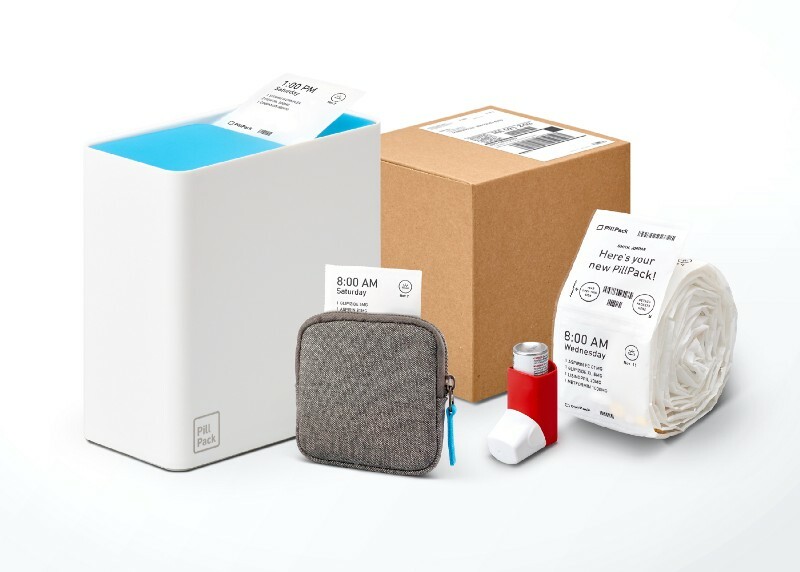 News & updates from the team at PillPack, a full-service pharmacy that sorts your medication by the dose and delivers to your door.